Extra beautiful nature. 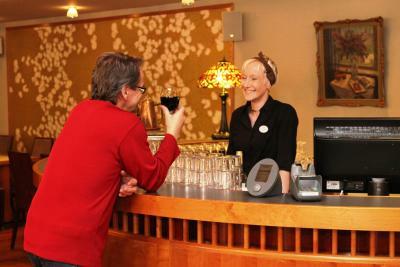 Friendly staff, cosy rooms. 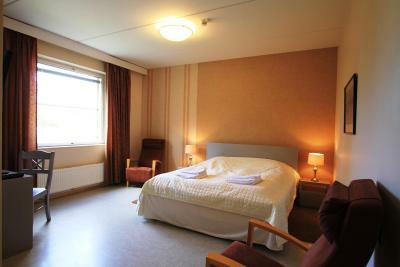 Functional, clean rooms with ac. 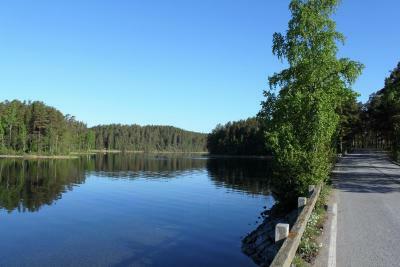 Location by the lake is beautiful, nice walk tours around Punkaharju. 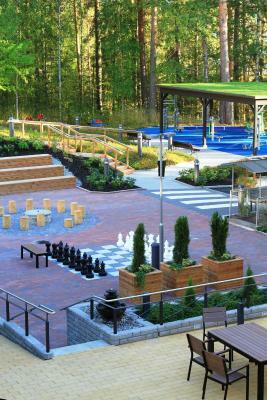 Lake side café is worth visit&dinner or waffels. 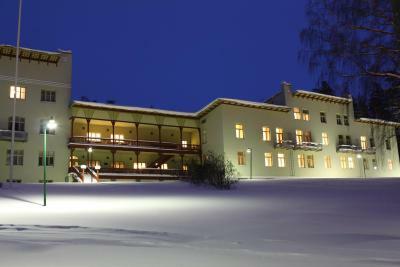 The hotel was an old sanatorium, creating a historical atmosphere. 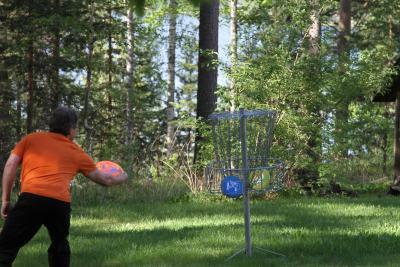 It’s very close to the lake. The rooms were clean and comfortable. 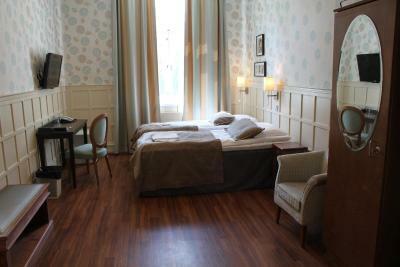 Room was very spacious and clean, with comfy armchairs, large tv, large desk, 2 night tables next to the bed and fridge. There were also wardrobes and many shelves for clothes. Beds were very comfortable. 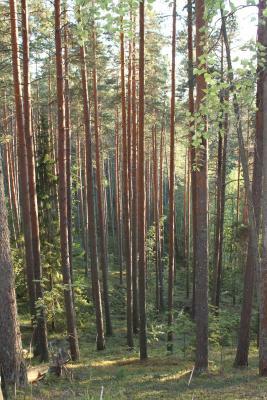 Nice view from the window to the forest. Heated floor in the bathroom. 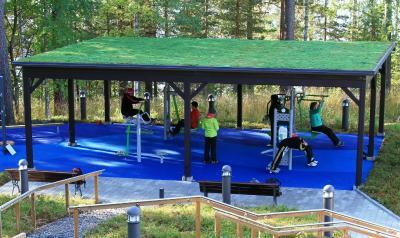 Swimming pool was opened from early afternoon till 20.30 and in the morning between 7.30 and 8.30. There were not many people in the pool when I visited it. 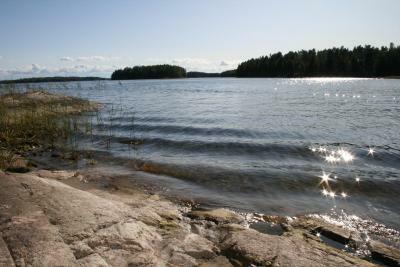 Good location (close to Savonlinna, good boat connection). Very friendly and helpful staff. Hotel is in old hospital. 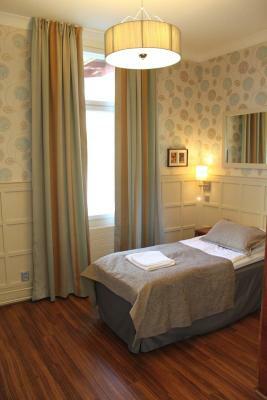 Room was decorated in 20th century style with large bathroom. 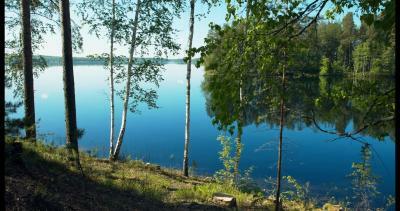 Nice view to lake. Умиротворение! Место замечательное, озера, наверно нам повезло, но в отеле практически не было гостей. Даже в бассейне одно время мы были с женой только вдвоем. Тишина и прекрасная погода. Приеду обязательно при оказии. Прекрасное месторасположение - в сосновом лесу на берегу озера. Очень хороший СПА. Отличная лыжня прямо возле гостиницы. Возможность прокатиться на коньках по специально подготовленной дорожке на замерзшем озере. 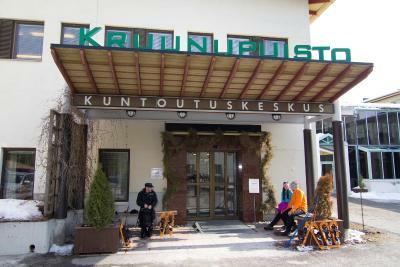 Hotel Kruunupuisto This rating is a reflection of how the property compares to the industry standard when it comes to price, facilities and services available. It's based on a self-evaluation by the property. Use this rating to help choose your stay! 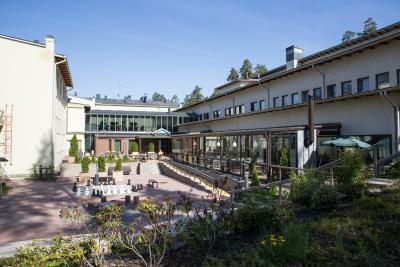 All the stylishly decorated rooms and suites at Spa Hotel Kruunupuisto have private bathrooms and a work desk. Free WiFi is available throughout the hotel. Some rooms have wooden floors. 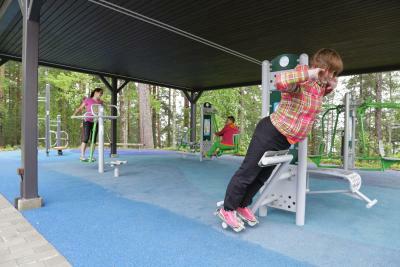 Guests have free access to the spa area with swimming pools, a fitness center and saunas. 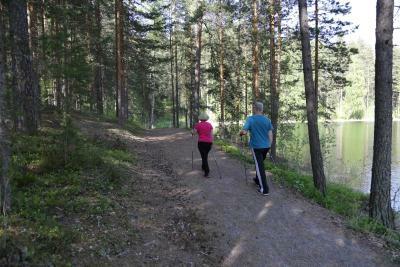 Guest can rent bicycles and row boats in the summer and ice-skates and ice-fishing equipment in the winter. 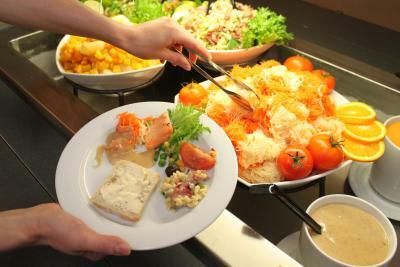 A buffet breakfast and other meals are served at the hotel restaurant. 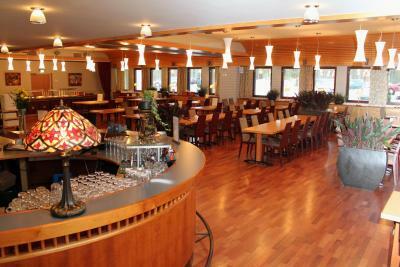 Drinks and snacks are available in the bar. Kerimäki Church, the largest wooden church in the world, is located 12 mi away. 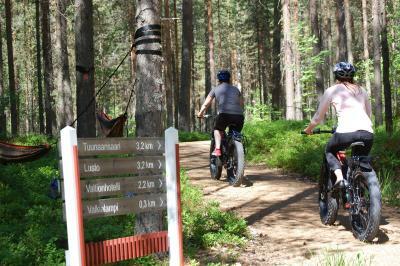 Lusto Forest Museum is 1.9 mi from Kruunupuisto Hotel. 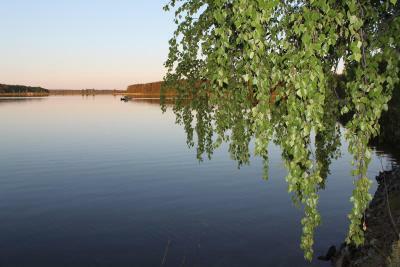 When would you like to stay at Hotel Kruunupuisto? Individually decorated room that features free Wi-Fi, a flat-screen TV and desk. 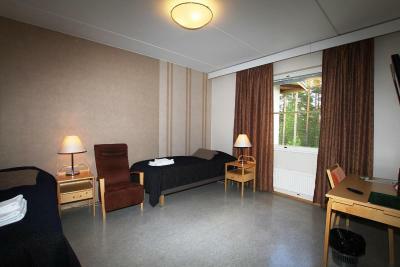 This spacious suite features Lake Saimaa views and a sitting area with a flat-screen TV. These basic style rooms have armchairs and a bathroom with shower. 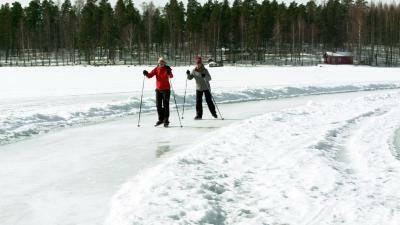 House Rules Hotel Kruunupuisto takes special requests – add in the next step! Hotel Kruunupuisto accepts these cards and reserves the right to temporarily hold an amount prior to arrival. Please note that the reception closes at 21:00 and there is 24-hour telephone service. 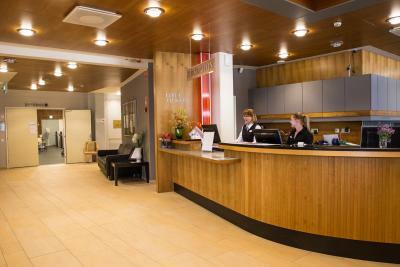 Guests arriving after 21:00 should contact the hotel in advance to receive the check-in information. Contact information is provided in the booking confirmation. If you are traveling with a pet, please contact the hotel before the reservation to make sure you receive a pet-friendly room: Please note that there are limited amount of pet-friendly rooms at this hotel. We where there for a funeral of a deer family member. 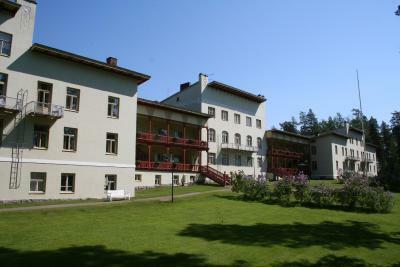 The resort is at the same time a hotel and a sanatorium. The two where not separated enough, there where rooms in between doctors offices. The restaurant looks like stuck in a time wrap and is in dire need of a revamp. It has the distinct feel of an sanatorium canteen. All in all the place seems not really to have a real concept at what to be. Breakfast was like going back to the 80ties, bad value for money. Breakfast was bad, very poor and bland. 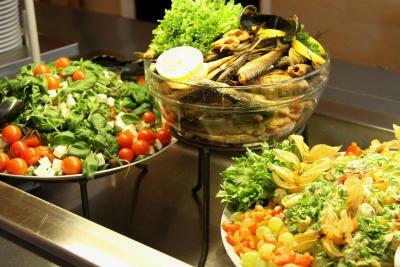 The time for dinner, pool was limited only between 5-7 pm. I think the hotel used to be a hospital or at least it feels like it. The layout is quite confusing. The hotel could do with updating as it is a bit dated. Breakfast was okay but not great. Breakfast was rather bad - hard, old bread as well as old rolls, meat balls that who knows what kind of journey made before ending up on the breakfast table. Not much choice of foods and no descriptions what food is served. In our room it seemed like one curtain was missing ( the other one could barely cover half of the window, and I needed to reinstall it twice, since it was not attached properly to the clamps) along with half door of shower cabin. Also one night-table lamp did not work, but we got another one when we asked. Our room was right above the swimming pool, so we had some bothering noise in the room till swimming pool's closing time, however we were offered to change the room. Spa is closed on Sunday till lunch when everyone should check-out! So we couls only use spa at Saturday, but expected to do it on Sunday also! Very basic, austeric. Sound insulation of rooms poor. SPA facilities available according to timetable. 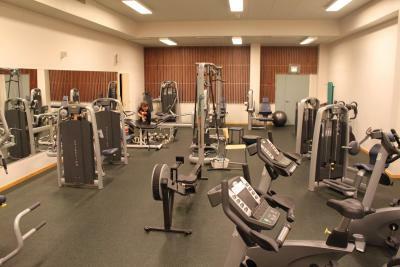 SPA center was already closed, when we arrived to hotel. But SPA opening time was few hours after checkout time. Breakfast together with rehabilitation center patients.